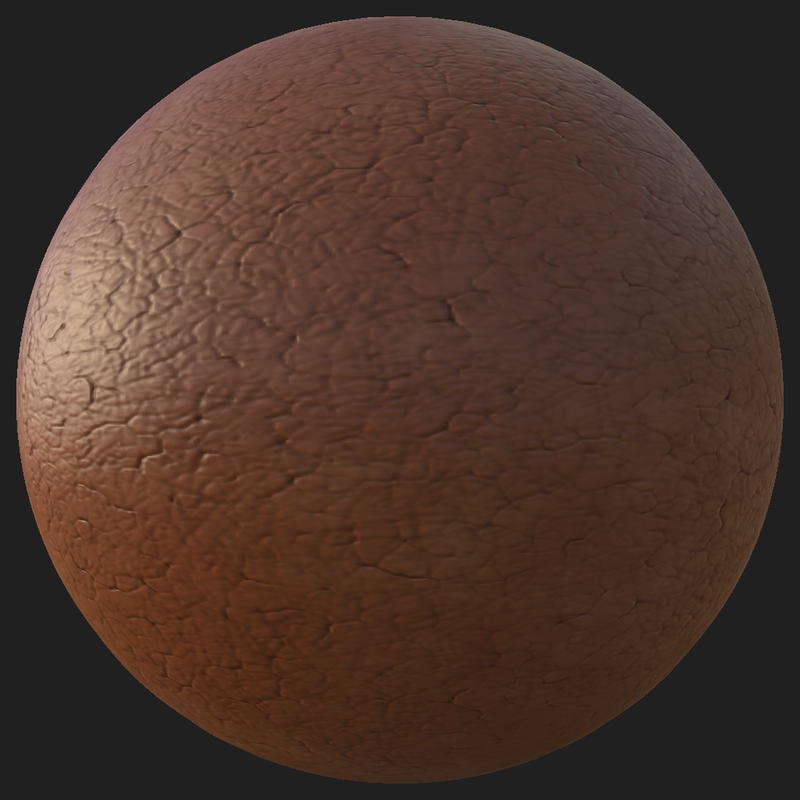 I've been growing increasingly frustrated with my current texture library and the hassle of properly assigning them and tweaking them in Photoshop, so I finally bit the bullet and dove headfirst into Substance Designer and Painter. I'm already so impressed with the programs and I'm incredibly excited for the ease and control they give me. Here's a sample of my first few attempts (after watching a boatload of tutorials) without outside help. Not bad for only a day's knowledge if I do say so myself. I've been working for Continuum Studio for a while now as the art lead and I'm so proud of how far my team has come. I'm happy to call myself a part of a team that feels like a family. There will be news coming very soon about our current project, Produce Panic, so please follow and like Continuum Studio on twitter, facebook, and the web. Produce Panic is a side-scrolling, arcade-style, couch co-op shooter where you play as an ex-military potato to take down a legion of zombifed vegetables. Where did the outbreak begin? How will you defeat the hoarde? Find out by playing Produce Panic. Coming soon. More info on our website. I thought I would post a overview/tutorial I made a while ago. A few of my team members have not used a PBR workflow before, so I made this as a reference and starting point for further research. Hopefully this can teach someone something and if I have anything wrong, I would really appreciate a comment or e-mail. PBR is now the default rendering system for Unreal 4 and Marmoset. It uses realistic shading/lighting models and measured surface values to represent real-world materials. Base color input. This is basically the diffuse. Make sure all lighting information is removed (shadows and highlights). It will look very plain, this is okay. Most details are handled by other maps. Be careful not to make your albedo too dark. Here are some reference values for accurate albedo maps. The reference numbers refer to the luminosity values in the histogram. Ambient occlusion is lighting information, so do not use it in this map. Here is a video about how to approximate an albedo map from a diffuse map if you want to repurpose your texture library. Generally not necessary. Forget all you used to know about specular maps. Values refer to real life index of refraction (if you use this map, look up the appropriate values). It is now what determines Fresnel reflections and BDRF, not the shininess of a material. If it is modified (which is unnecessary in 99% of situations), it is to add small scale shadowing or micro-occlusion. More details can be found in the specular section of Epic's documentation. 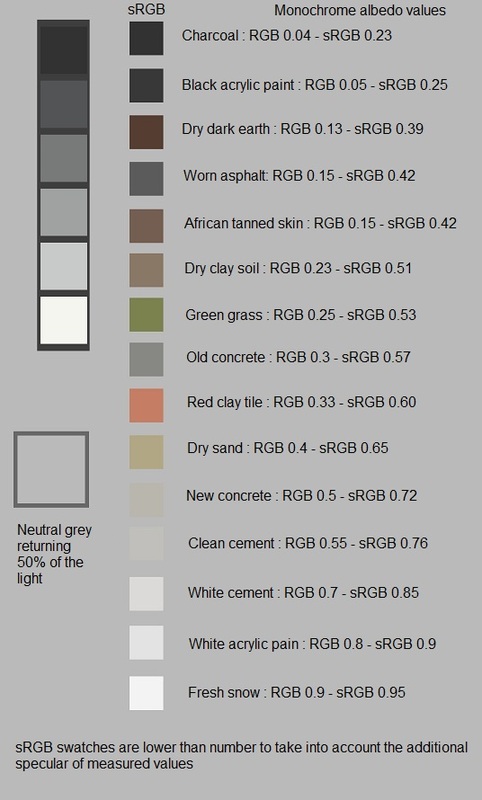 Greyscale map determining how rough the surface of a material is. This is where you can go crazy artistically. Values are approximated and vary within materials based on dirt/damage. Use your best judgement and be sure to compare values you are using here to values that are being used in other areas of the asset and the scene as a whole to make sure it will make sense and come together cohesively. Only used when a material has some metal. PURE black and white. In-between values are only used for rust/corrosion/dust. Resist using grey values as much as possible. This is the same as before. A clean inital bake is extremely important. I haven't made much more progress with the living room scene because I have been working on an exciting project! I am the Art Lead and environment artist for an indie game called Produce Panic. Managing other artists while continuing to produce my own is quite a challenge, but I am up for the task! Hopefully in the coming weeks I will be able to share some of the artwork for this game and give some updates on it's progress. For updates from the studio, please like Continuum Studio on Facebook! I spent a little time working on the ceiling and the mantle. I changed the ceiling to a popcorn style, which makes a lot more sense than the weird tiled thing I had before. It is hard to see at the glancing angle I have, which is unfortunate, I'll do a little research and see if there is anything I can do about that. The mantle is going from weird black painted thing to a fine wood. Needs more love, but its already looking better. You can tell it's wood now. Up next: the stove and the lightmap seams on the armchair arms. I recently visited San Francisco to attend GDC and it was a very enlightening experience for me. I got a few portfolio reviews and while it was overall very positive, I realize there are some things I need to change. I felt like I needed more content in my portfolio so some of what I posted was not up to my standards. Quality is better than quantity, but it took having some industry professionals tell me this for it to really sink in. However, I don't want it to appear that I am not working on anything or ever improving so I am moving my least impressive work to this side and I will start showing my progress and process as I go. First up is the living room. It is my first full environment using Unreal Engine 4, so that in itself poses a challenge. Most of the critiques I have gotten have been about the ceiling not making sense and the materials on the mantle and stove not reading properly. Fixing those things will be where I start and then I will probably move on to improving the lighting and adding some smaller props to give more life to the room.